An uncontested Texas divorce with children is more difficult, because the parents will need to work together in order to come to an agreement on all matters concerning the children. Here you will find information on and answers to commonly asked questions regarding child support, custody, and visitation agreements. For basic information applicable to all Texas divorces with or without children see our Divorce in Texas article. Is child support required in Texas? Yes. In Texas, parents have a legal duty to support their children. Even if parents agree to very little or no child support, the courts will usually reject this proposal. The reasoning is that the money belongs to the children, not to the parent caring for the children. The amount of child support owed by the noncustodial parent will depend on the income of the noncustodial parent, as well as the number of children for whom the noncustodial parent has a duty to support. If there is only one child of the marriage and no children outside the marriage, child support will be set at 20% of the non-custodial parent's net income (after FICA, Social Security, and Medicare have been taken out). If there are two children, the child support will be set at 25% of the net income. If there are three children, child support will be set at 30% of the net income, and it will increase at 5% increments thereafter. No parent however, may be required to pay more than 50% of his or her net earnings to fulfill all of his or her child support obligations. Additional information on the calculation of child support and other factors affecting child support can be found in the Texas Family Code Chapter 154 section 125. How are child support payments made in Texas? Texas law requires that child support payments are made through the Texas State Disbursement Unit (SDU). The SDU records and forwards the child support payment to the receiving parent. See Texas Family Code 154.004. Does the Court always require a Withholding Order? The easiest way to make sure child support payments are made is to have the payment withheld from the payor's paycheck through a Withholding Order. The court is required to sign a Withholding Order in every case where child support is ordered. However, in some cases, the parties can agree not to have the Withholding Order served on the employer. If the Withholding Order is not served on the employer, then the child support will not be withheld from the payor's paycheck, and the payor will have to make the payment each time the payment is due. However, if either party prefers to have the child support withheld in the future, the Withholding Order does not expire and can be put into effect at any time. See Texas Family Code 154.007. When can a child support order be modified in Texas? It has been more than three or more years since the order was established or last modified and the monthly amount of the child support ordered differs by either 20 percent or $100 from the amount that would be awarded according to the child support guidelines. The noncustodial parent's income has either increased or decreased. 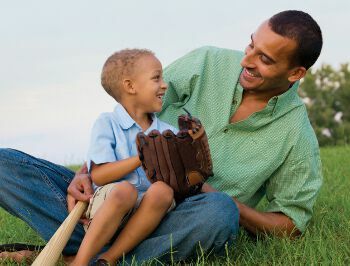 The noncustodial parent is also legally responsible for additional children. The children's medical insurance coverage has changed. The children's living arrangements have changed. What if my spouse and I have agreed to a child support amount that is different from the standard amount? When using DivorceWriter your child support amount is automatically calculated. If you and your spouse agree to a different amount than the standard calculation, you can enter it directly in the online interview and it will be updated on your divorce forms. The age of the child, the child's needs and special expenses. Parent's financial ability, income, assets and resources. Other child support expenses and custody care. Any current alimony/spousal support expenses. Medical and health care expenses and insurance. Debts or other financial obligations of parents. Travel costs associated with child visitation. Income or expenses relating to assets of parent. Where do I find answers to additional questions? The Child Support Division of the Texas Attorney General's office has an online publication, Frequently Asked Questions about Child Support. Weekends: 6:00pm every first, third, and fifth Friday of each month and ending at 6:00pm on the following Sunday. Thursdays: Every Thursday evening, from 6:00pm to 8:00pm during the regular school year. Holidays: (including Thanksgiving, Christmas or Winter break, and spring break) are divided between the parents, giving one parent the right to spend a particular holiday with the children every other year. The SPO also provides for the noncustodial parent to have thirty days with the children during the summer, or forty-two if the children live more than 100 miles away from that parent. DivorceWriter offers the customer the choice of the SPO or a long-form, customized, visitation schedule. When can the Custody and Visitation Agreement be modified? The circumstances of the child, the conservator or a party affected by the Agreement have materially and substantially changed since the order was signed by the court. A child over 12 years of age has filed with the court a written preference for a different primary managing conservator (if applicable). The primary managing conservator has voluntarily given up care and possession of the child to another person for at least six months (if applicable). Child's present environment may endanger the child's physical health or significantly impair the child's emotional development. The person entitled to establish the child's primary residence is consenting to or bringing the motion for the best interest of the child. The person entitled to establish the child's primary residence has voluntarily given care and possession to another person for at least 6 months and a change would be in the child's best interest. What exactly is meant by the "best interest of the child"? Emotional and physical needs of the child now and in the future. Emotional and physical danger to the child now and in the future. Parenting abilities of the individual seeking custody. Programs available to assist those individuals to promote the best interest of the child. Plans for the child by these individuals or by the agency seeking custody. Stability of the home or proposed placement. Acts or omissions of the parent which may indicate that the existing parent-child relationship is not a proper one. What if my children live in another state and we already have a court order or informal arrangement concerning child support and child custody? If your children live in another state and you want to have the court issue an order as part of the divorce concerning child support, it usually can't be done in a state other than the state where the children live. However, if you and your spouse already have a court order in another state concerning child support, child custody and/or parenting time, or if you have an informal agreement on those matters and are not concerned about resolving those issues through the divorce, it may not be a problem. How long does it take to get divorced? - Minimum time to complete your divorce for each state.